THE REACH WOMEN CONFERENCE DESIRES TO DRAW WOMEN CLOSER TO GOD’S HEART AS WE STUDY AND RESPOND TO HIS WORD. We want to REACH WOMEN across every corner of the greater Cape Town area – women of all ages, stages and walks of life! We want to REACH WOMEN with solid Bible teaching that equips and inspires us to live for Jesus. We want to REACH WOMEN with the Gospel of Jesus – the gospel that takes us BEYOND BELIEF! This year we are privileged to welcome Alison Eloff ... Alison is the Women's Worker at St James Church, Kenilworth and has been serving in ministry for the past 33 years. 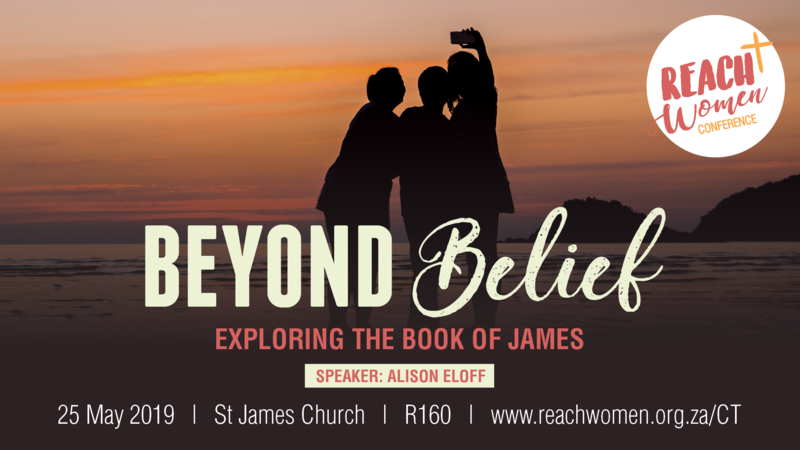 What can you expect from the REACH Women Conference?